When it comes to colors and Malaysia. People often think about blue, red, white and yellow, which represent the colors of the Malaysian flag. There are others who say red, which represent the hibiscus, national flower. There is one festival in particular which happens in the month of July and its called Colors of Malaysia. During this festival, Kuala Lumpur is often filled with brightly lit colors; a parade will be held at night accompanied with other performances, which showcase all 13 states. This year’s national day coincide with Eid ul-Fitr, which caused the celebration of the national day to be as grand as the previous year. However, it is being said that the Malaysia Day, which falls on The 16th of September, will be bigger and better then last year’s. Malaysia day is celebrated to honor the establishment of the Malaysian federation. When it comes to the national day or Malaysia day celebration, often people think about parades and fireworks, which showcase the different colors of Malaysia. However this year, Astro and the Malaysian government took a step further to organized a concert & carnival called Suara Kami in conjunction with Merdeka day. 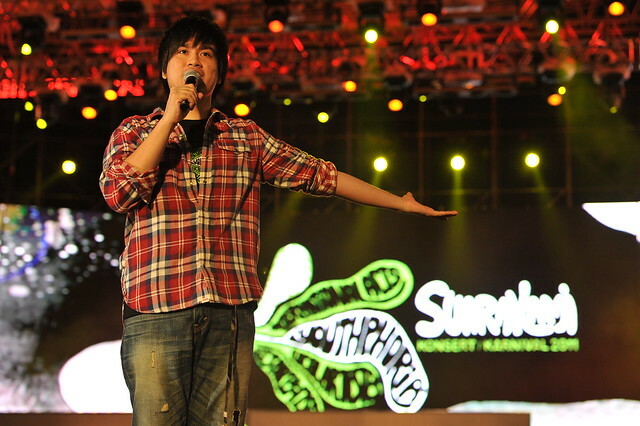 The concert was catered for the youth of Malaysia in order to create unity with one another. Not only that, the song Malaysian boy was played widely days before the concert widely due to its meaning which is the strong bond among us Malaysians as well and to always be united. This year, Suara Kami brought together a few acts from around the world which include Nelly and RaNia. Not only that, several local artistes was present that night. Among them were Yuna and Pop Shuvit. The concert was held at stadium merdeka, which was initially constructed for Malaysia’s Declaration of Independence. It was drizzling the whole night throughout the Suara Kami concert but it did not stop all the Malaysian youths from having fun and listen to their favorite acts. The night kicked off with drum and fire dancing performance. Soon Naresh Iyer came out and sang Rang de Basanti, which topped India’s music chart for weeks. What amazed me during Naresh Iyer’s performance was the crowd. Everyone was singing along and it definitely showed the real colors of Malaysia. Despite standing in the rain for more than an hour, everyone was still shouting and moshing in the pit getting ready for the next act. Pop Shuvit came out with Marhabahaya, which gave the crowd a sudden rush of adrenaline to last till the last act. Loving what I love doing, I had a raincoat on me and was shooting away with my camera equipment being soaking wet. The night ended with a group from Korea called RaNia and Nelly. 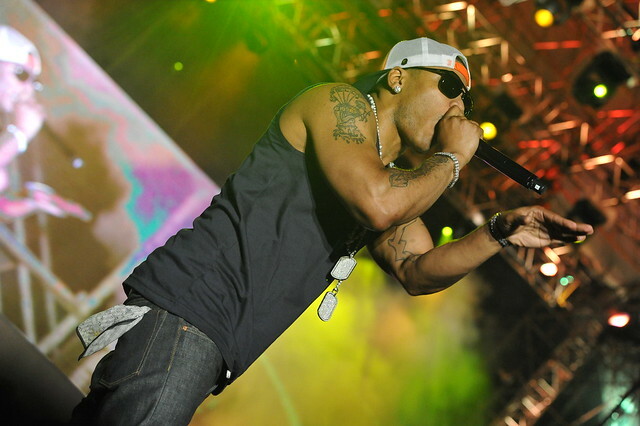 Nelly ended the night by singing Just a dream. Overall, I had fun shooting the concert as well as had the chance of waving to our Prime Minister, Najib bin Abdul Razak who was accompanied by his wife Rosmah Mansor. Meeting people from different age groups as well as different races definitely gave my the eye opener on what Malaysia have when it comes to colors. I personally think that there is no other country like us who have such diverse culture and people. When you hear the word “color”, what is the first thing that comes to your mind? I have a number of ideas that I thought of, but instead, I wanted to hear what other people have to say. And here is what I gathered. Not much answer from them, I know, but then I asked an old man about it. He said with a grin on his face. “Do you know the saying, “Showing one’s TRUE COLORS”, boy”. I admit, it was something to think about. When you hear colors, it would usually be the responses earlier, mostly because no one specified on what colors you are talking about. But when a person adds a word in front, the meaning changes. When you hear “True Colors”, your first thought would most probably feelings and personality and such. So what happens if you asked a person to tell you the colors or a country, in this case, Malaysia? Here’s what I would hear. I tried to find the answer, but most are the same. But then I thought to myself, “There are more than one way to explain about the colors of Malaysia”, and here is what I think are the colors of Malaysia. Normally you would think of the flag. The Red, White, Blue and Yellow in which Malaysians are so proud of. But unfortunately for me, I have forgotten such meanings behind those colors, despite being a Malaysian citizen, so I’ll talk about a different color in which she (Malaysia) holds. Malaysia is a beautiful country in which attracts many foreigners to come and spent their time there and like many countries, hold many stories of history behind her. But her true color does not come from just the history in which she holds. NO. Malaysia is one of the very few country in world which is considered a Multi-Racial nation in which not house only one, not two, BUT Three different races. It may not sound so impressive at first, but Malaysia is bursting with culture from all three races. Malay, Chinese and Indian, they all live in complete harmony like a perfectly played orchestra. She may not seem much at first, and though a number of foreigners still believed that we are behind times (in which we kind of are in some ways), we are still proud of who we are and our heritage. From dialects to delicacies, our true colors are our pride in which we are able to live in harmony amongst ourselves despite our differences. So next time if you ask yourself, “what is the color of Malaysia?”, just look around and you will see it too. Here is the Fool signing off, for the last time! Thank for reading this and I hope you enjoy it! PEACE!! I think you should probably already know that this post is written by me, Azriq a.k.a RIq. I am just writing this so that I don’t get forgotten because I’ve been calling myself “The Fool” for the last couple of post and I don’t want something unfortunate to happen like “Oh, but Riq, you never even wrote the post” Then I’ll answer, “But I did, SEE, right next to the username “The Fool” is a backward spelling of my name!”….. SO yeah, just a little rant in which you do not deliberately add no scores to my exam. But I spoke too much. So yeah. The Fool aka Azriq aka Riq SIGNING OFF!! Often times we forget how thankful we are to be surrounded by the many cultures that Malaysia has a plentiful . What I’ve realized during secondary school was that my batch (2010) were one of the many few batches that all of us despite being of different colour and creed , could still come together when united for the same purpose . White , yellow , beige , brown , or black . Even more interesting was the fact that the an unusual amount students in my batch were like me , racially mixed . Most of the times , it didn’t matter . Coming from a mixed heritage , I’ve always taught I appreciated the diversity us Malaysians are blessed with , just a little more than others. To coincide with the title , I’ll be talking about how each of those colours above changed me to be a better person and how they inspire me everyday. He’s pictured below with James and myself. My best friend , of Ceylonese decent . One day aspires to be the PM of Malaysia . He’s taught me how to always be analytical and critical of how the media manipulates politics in Malaysia . Also , he reminds me to always stay true to myself , especially when it comes to principals . He’s prone to be the talker of the group and always has a joke up his sleeve . He’s pictured above with Yudish and myself. My fellow fighter at Xtreme , of Australian Caucasian & Chinese decent . His spirit and never say die attitude , most of all inspires me to always push myself at the centre . That aside , he’s a real joker who loves to indulge himself in doing things that aren’t for the feint at heart. Those include , jumping over dustbins , climbing to the 1st floor and jumping off the ledge & even emptying a fire extinguisher from time to time. He never fails to lighten the mood and taught me to live life to the fullest even it might leave a few bruises on your knees. An amazing illustrator & artist of Chinese decent . I learnt from her the hard way . Yan left for England late last year . She and I were classmates and prefects at Seri Hartamas Secondary School . After cooking lasagne for her and two other friends , followed by a couple of movies and hang out sessions at her house , I soon realized what I’ve been missing for years , she was an amazing friend whom I never knew and I realized it too late . She’s across the pond now and I miss her every time I see a lasagne. She taught me to always appreciate the people in our lives and sometimes the friends you’ve never met are the ones that turn out to be the best. One day she’ll be one of the most amazing artists , not that she isn’t already. Fellow musician of Pakistani and Malay decent . I met him in form one . Being classmates from primary but not saying a word to each other , we got along from the start of secondary school . 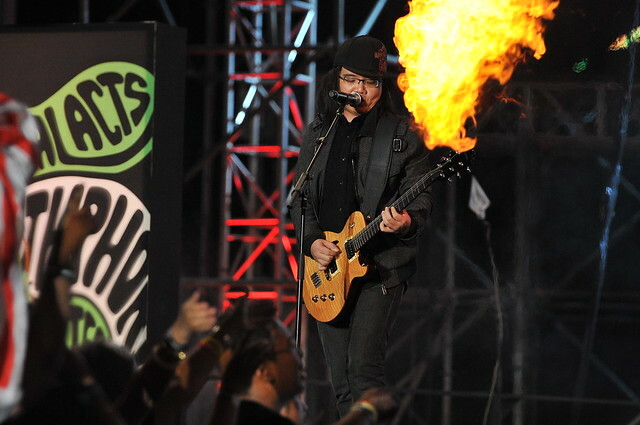 He’s one of the people I have to thank for getting me into music . Without him bringing his guitar one day to school , I probably would still be too scared to sing or play guitar in front of a crowd. Those are the many colours that have effected me in many ways . What I’m trying to say is that sometimes , we aren’t just colours , races or religions , we are more than that . Each of us unique and able to touch & inspire other individuals in amazing ways . When we inspire each other and are apart of each other life’s we see each other in a different light . Those are just some of the colours of Malaysia in my perspective. I dare say, Malaysia is a very colourful place. It is because we have a mix of people in Malaysia. As I said, Malaysia is a multi-racial country, hence very colourful. There are the Malays, Chinese, the Indians, and some other smaller race like Sabahans, Portugese and more. But that doesn’t really matters because no matter which race we are we are all Malaysians (By of course, if your born in Malaysia). Other than that, Malaysia can be very colourful in food. In Malaysia we have many different kinds of food. We have a mix diversity of Malay and Chinese food, hence called the Nyonya food. We also have the Malay and Indian mix, hence its called the mamak food. 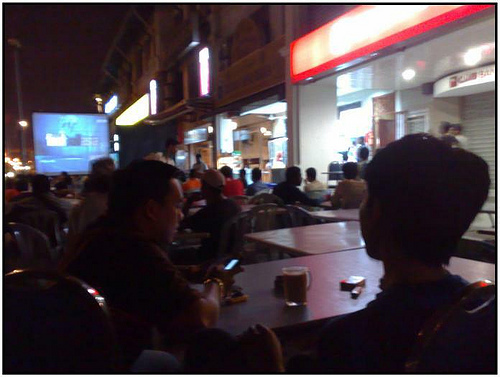 You don’t have to be suprise that everybody regardless of race gather around a mamak stall eating and watching their favourite football teams playing on a large projector. Overall, Malaysia is a very colourful place. I bet no other country is as colourful as Malaysia. As for this week, I will be writing about Colours! The first thing that pops into my head when I think about colours is rainbow (and coloured pencils, eventually). For me myself, I’m a huge fan of colours. Anything that has to do with colours never failed to intrigue my eyes to have a look at it. I believe behind every colour, there’s a story lies in it and there must be a reason why God created it to be different. It amazed me that we can make use of every variation of colours perfectly in our daily lives. For example, the uses of three different colours on a traffic light ensure the drivers to be more cautious when driving. We can really be able to adapt the colours to our life in a way of red always convey the message danger, yellow shows we need to be scrupulous and conscientious while green always reflects to freedom, peace and safety. 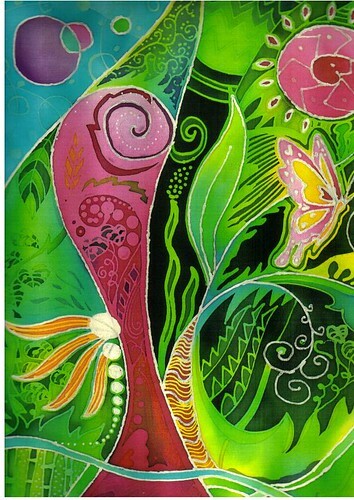 Personally, I love to see something that is bright and striking mostly in paintings, sceneries and collages. My utmost favourite colours would be Electric Blue and Silver-grey because to me, these two colours have their own way of attracting people to luxuriate it. I found that Electric Blue can cure my sorrow emotion and somehow it makes me feel vibrant and lively. Meanwhile, Silver-grey attracts me with the message that I need to be bold and fearless to face any difficulties. In other words, by only looking at these two colours, I feel that I live in whole new world with different perspectives. For some odd reason, if I were about to face a really bad day these colours are able to cure the depression and put a smile on my face. Besides that, when I think of colours I love to reconcile it with a painting or an old portrait. One of my hobbies is to review and inspect some old paintings where I can get it online. To me the colours used to draw the paintings are very majestic as the artist tends to create a different dimension to the painting. I can never understand how to grasp the meaning of an artist’s painting because it usually has something to do with a hopple and disoriented art which ONLY the artist can defines it. My all-time-favourite painting is from Georges-Pierre Seurat. The painting is called A Sunday Afternoon on the Island of La Grande Jatte (1884). The painting is about a few people chilling and hanging at a park. Seurat spent two consecutive years to create this painting as he uses contrasted dots of colours to create an illusion of the painting. The colours used are very brilliant and powerful since it was painted by only using a gazillion dots to make it look real. The painting is now framed and kept to be viewed by audience at the Art Institute of Chicago. Thank you for reading people! The first thing that comes to my mind when you say 'colours' is the baby blue of the sky. The rich turqoise of the ocean. Sand so white that its almost blinding. More colours of Malaysia? The yellow of pulut, the green of the pandan leaves used to wrap nasi lemak. It is quite interesting to note that every culture has their own defintions of what a certain colour represents or stands for. For instance, the Western culture would interpret the colour red to mean bravery, love or anger. They also combine red with green,colours which have come to be universally associated with Christmas. However, the Chinese interpret red to symbolize prosperity or good luck. It is most used around the time of Chinese New Year. The colour yellow in Japan is a symbol of courage. In China, it refers to nourishment. However, wear a yellow t-shirt in Egypt and people will think that you are mourning for a loved one. In Iran, the colour blue is defined as the colour of heaven, and more often or not associated with spirituality. Western cultures deem blue to be the colour of depression or sadness. It is also related to the 'something blue' tradition for weddings, where the custom is for the bride to have something blue on her. This tradition dates back from the 1500's. Blue in Rome is used to represent love and modesty, whereas in the Christian culture, the Virgin Mary traditionally wore blue dresses. Hence the colour blue went on to symbolize purity. In Hollywood movies, the good guys wear white and the bad guys wear black. Raising a white flag means you surrender. Brides wear white on their wedding days. People attend funerals wearing black to show mourning. Travel halfway across the world to an Eastern country and you'll find that a majority of them wear white to funerals. The colour black in China is worn by young boys. When working in a different country or a place that you’re not familiar with, it’s important to note that not every culture will have the same definition of a colour as you. If you’re from America giving a lecture in Japan, wearing a white carnation in your lapel would symbolize death to the audience. To you, it would simply just be a flower in your lapel. Cultural basis is crucial as you don’t want to pass along the wrong message to your audience. When we talk about the colours of Malaysia, a lot of thing will popped in our mind it could be anything since Malaysia is a unique country, it has different races different cultures and different people but Malaysia is well- known for their food when we asked the tourist why they choose Malaysia as their vacation spot they will say it is because of the food, well at least most of them will say it’s because of the food. The food in Malaysia is also the reason why Malaysia is full of colours, the food makes Malaysia Interesting. 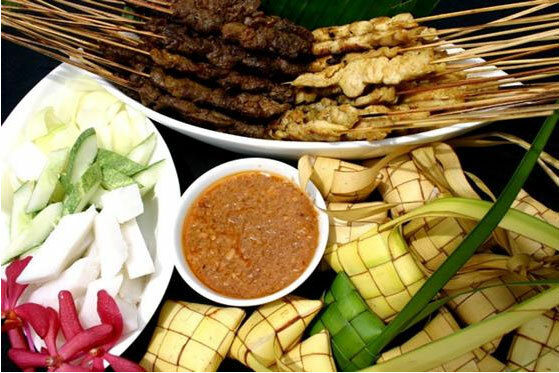 Since Malaysia is well-known because of their different type of cultures and races that is the reason why Malaysia has different type of food. In Malaysia we can eat Malay food, Chinese food, Indian food, Sabahan food, Sarawakian food, Western food, Arabic food and many more. Its normal to see the people here either their Malay or Chinese getting breakfasts in an Indian restaurant for a roti canai, that’s just how Malaysian daily routine are. 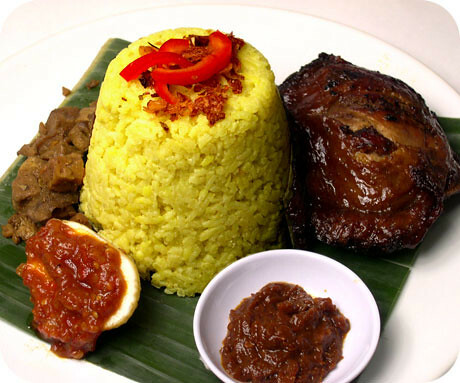 There’s a lot of different food that is not served in other country but only in Malaysia such as Yellow Rice, Yellow rice is food that is served in Sabah commonly; they don’t sell it or serve it here in peninsular Malaysia. Its Sabahan traditional food, it’s like Nasi Lemak but it is served with Yellow rice, Sabahan only eat this in the morning for breakfasts. There’s a lot of food in Malaysia that is different from other country and also these foods makes Malaysia beautiful in people’s eyes. 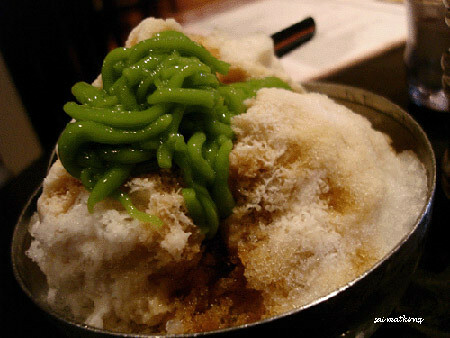 The most delicious and common dessert that people have in Malaysia is Cendol, even though it’s just sugar and green jelly it’s just something that you could say yummy at the end of the meal. The best Cendol that I have ever tried and it just made me fell in love with it , it’s in Penang, i could never forget the taste of that cendol since then, I without fail will always visit the place whenever I’m around penang. I love the food here in Malaysia it just gives Malaysian live, it brings colours that what makes our country fun and interesting. I remember when i was away for a vacation in Korea for a week and i couldn’t take it, the only thing we ate there was kim chi and kim chi and again kim chi. At first its something that is very nice but when we eat it every day, you will get bored with it, don’t get me wrong Kim chi is really delicious and i love to eat it once in awhile even in Malaysia but you just will eventually misses your own food,. The spiciness, the oiliness and the tastiness. When I reached Malaysia , I remember the first thing I do was, my family and I went to a mamak stall and we just eat and that moment I know I can’t live without Malaysian food . Every country I believe have their own colours that makes them special and Malaysia for me what makes this country special, unique and colourful is their food. The Colours of Malaysia. It’s an interesting topic and quite hard to talk about because there is so much to say. But I guess the first 3 thing that came in my head when I heard of this topic was food, amazing places and people. From the cultural mixture. To the amazing food from many countries. And the many amazing places of Malaysia, with beautiful beaches amazing sights .Malaysia is a multicultural society that has brought many races together to appreciate one another and respect each individuality race, religion or traditions to form peace, from all these cultures and be proud to be Malaysia. Honestly I love Malaysia food. It has colour, flavour and just a wide range of variety. My friend ask me a question once “if I had to chose between Malaysia food and Libyan food what will you choose?” . Now coming from Libya, I can say Libyan food is very hard to beat. It’s very delicious. 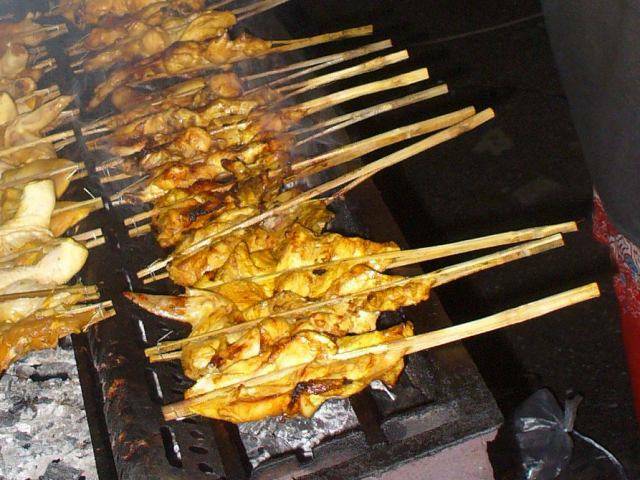 In a way ,Libyan food has way’s with your tounge that just makes you come back for more. Anyway I choose Malaysian food. Why you ask? well the topic to this essay says it all. Not just the amazing taste of Malaysia food it has so many colours to the dish that just appeling to the eye. But when I say Malaysian food it has to include everything. Malay , Chinese and Indian food :D these 3 make an exelent combo! Food also brings family and friends together. Is when there is an event where everyone comes and enjoy the food , especially open house , not only it has food choices , it’s also a great way to bring family together from many backgrounds and just come and enjoy the food. What I love about restaurant in Malaysia is that it has many restaurant with so many variety. Especially in the food court . Western , Asian food, middle eastern food and so on. it’s just awesome too know where you can try so many different flavours from many countries in just one place . And that’s why food is one of the best things in Malaysia . 100% Malaysia food. Malaysia has so many amazing places. I have been to Langkawi once with my family and it was great. The food was really cheap and affordable. Not to mention that people over there where really nice. What really attracted me the most was the sight they had there. My dad called the tourism management in langkawi and we manage to book a van to tour us around langkawi. some places where really forgot how it was like because it was along time a go . But until this day I still remember I say a alligator in the alligator farm that was as long as two cars! Two cars! Aproximately 2 myve parked behind one another. The alligator was also really big. I honestly pity the person who has to feed the alligator. Anyway I have went to a place called Pulau Perhentian.The beaches was simply amazing, I could actually see my feet in the sea when I stepped in. and I cold also see fishes from the top swimming around me . The rest of the places were great too but I would feel it would be just too much too talk about. So I’m going to end this by saying there no place like Malaysia. It is often said that, when tourists are asked what is their main impression of Malaysia , the answer is usually that it evokes a sense of colour in both a literal as well as non – literal sense . For Malaysia is a country blessed with ethnic diversity comprising Malays , Chinese , Indians , Kadazan , Portuguese , Dayak, Iban , etc. Whereas other South East Asian countries such as Thailand, Indonesia or the Philippines may have their charms , it is only in Malaysia that the major races are brought together in this unique way, thus the aptly named slogan “Truly Asia” . These races bring with them their cultural practices, food, dress, festivals and customs. Together they enrich the cultural landscape of Malaysia.When we talk about the “Colours of Malaysia” it may not be wrong to think of this ethnic melting pot, that is literally so colourful. The Malay kebaya , Indian saree , Chinese cheong sam , the traditional warrior costumes of the peoples of Sabah and Sarawak provide the kaleidoscope of colours so often seen in the travel brochures and advertisements . Even the food provides a multitude of colours such as the nyonya kueh, mooncakes , rendang . Fruits also come in rainbow of colour such as the red rambutan, yellow – green durian, and purple mangosteen. Even more colourful are the flowers such as the national flower hibiscus with its dark red hues, orchids with every imaginable colour. However it is the festivals celebrated by the various races that bring out the burst of colours so commonly associated with Malaysia. The typical Chinese opera, now usually seen at street concerts during the Hungry Ghost festivals usually sport colourful opera costumes and the actors wear heavy colourful makeup to enhance their dramatic image. This is matched by the costumes worn by the Kavadi carriers as well as devotees during the annual Thaipusam parade, not to mention the colourful idols and deities at the Hindu temples. The Malays take the chance to show off their colourful baju kurong and kebayas during Hari Raya and kenduri’s. At the open house practised during the Chinese New Year, Hari Raya and Deepavali , the three traditional costumes can be seen side by side . 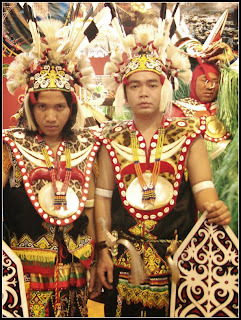 Another colourful image I normally get is that of the Dayak warrior performing the warrior dance, with his colourful battle dress and feathers around his head.In a non – literal sense, the “Colours of Malaysia” brings to mind the characteristics and personality of the various races . While trying not to be stereotypical, nevertheless one is mindful of the predominant mind-set of the races – the Chinese with their entrepreneur skills, the Malays with their graciousness and the Indians with their generosity. Although it cannot be denied that racial tensions and conflicts do exist, especially over the past several years, however when the races get together in harmony, it is indeed it is indeed a colourful occasion. To me this is best epitomised by the Baba Nyonyas who had integrated so much with the Malays that at one time only do they the Malay kebayas, Malay cooking style but also speak Malay exclusively , and not able to speak Chinese. Yet they maintain they maintain their religion and cultural practices. Thus they were able to thrive and live peacefully and harmoniously with the Malays over several hundred years when they were only a small minority. Another community that has been well assimilated are the descendants of the Portuguese traders and warriors who are still mostly around Melaka which was a Portuguese stronghold in the 1400s. With such colourful characteristics, it is indeed understandable that when one thinks of Malaysia, colours immediately come to mind. About two months ago, just weeks prior to starting college, I attended three football matches at Stadium Bukit Jalil in the span of 7 days. And while I have never gone to a football match before, it was far more different than I expected/imagined/thought… both good ways and bad. For starters, the traffic and battle for parking spots at the stadium was immensely annoying. I think it is fair to say everyone was already annoyed before the game started, imagine if they had to go home on the wrong end of a loss. Then there was that extremely long queue that was already forming hours before kick-off under the ridiculous (albeit typical) Malaysian heat outside the stadium. Not to forget, the abrasive, incessant blowing of blow-horns that harasses your eardrums to no end. The occasional shoving, swearing and avoiding inconsiderate smokers were all present on matchday. But all difficulties were (surprisingly) endured by most, if not all, that were present. Arsenal, Liverpool and Chelsea (in that order) were the three clubs that visited Malaysia in July for friendly matches (“friendly” being an oddly general term); training for them players and a rewarding surprise for us fans. While I was expecting a full stadium of supporters supporting their Premier League clubs, in the end it didn’t amount to that. And boy, was I wrong! Yes, of course there were the Arsenal, Liverpool and Chelsea fans but the patriotism I witness on those three nights (bar the practice sessions) were beyond my wildest expectations. Maybe I’m one who is highly pessimistic when it comes to patriotism (with the country being unfortunately corrupted) but wow, it was truly a surprise. A pleasant one at that too. Everyone was cheering their English favourites (the club, not the players) on but was cheering even louder for the local players, the proud ones who represented Harimau Malaya and bravely took on the challenge to face Premier League clubs, on the back of a heavy defeat to Manchester United a few years back, I might add. They may not be the best footballers and it may not be the best football but I must admit it was a joy to watch them play. Eventually, I found myself following Harimau Malaya’s progress long after Arsenal, Liverpool and Chelsea had gone back. Following those games there was some heavy criticism about Malaysian fans not showing “enough support” for the English clubs to which I disagree to the same extent. Yes, maybe it makes no sense to be supporting BOTH teams in one game but in these Malaysian fans’ defence, patriotism prevailed on those nights and it is something we as Malaysians can all be proud of. I think in most cases, it was always country before club. I guess what I’m trying to say is that despite what *colour* the team those fans supported on a week in week out basis had, there was always space for a little yellow and back in their hearts. Mine included. If there was one thing that was proven on those nights I was privileged enough to witness (tickets weren’t cheap! 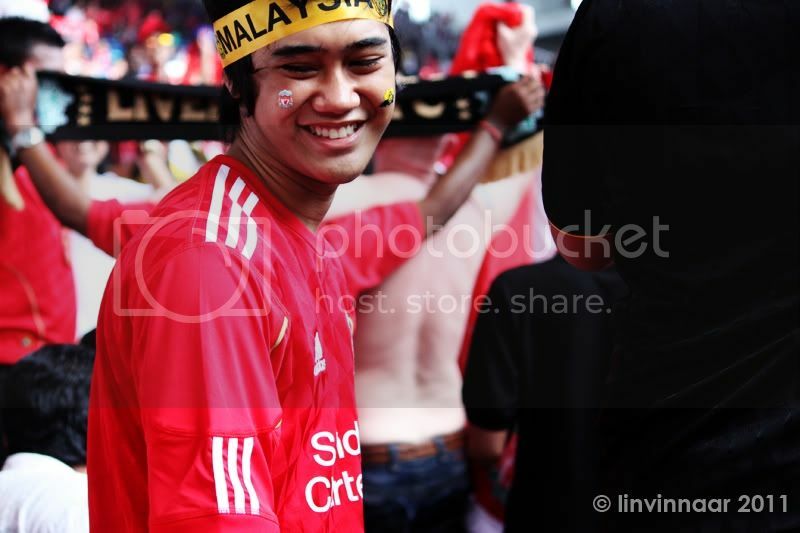 ), then I must say that Malaysians love their football. And they love it big time. Here is a video I took of Liverpool fans singing their anthem "You'll Never Walk Alone" at Pavilion, KL during their Asia Tour. It is a tad bit irrelevant but I couldn't resist. Photo and Video both by me. Colours. Being in Malaysia, what do we think about when the word comes to mind? Well, I can’t speak for all of us but for me, it’s about the multi-cultural people who live together, work together, sharing and caring with each other in this country, Malaysia. 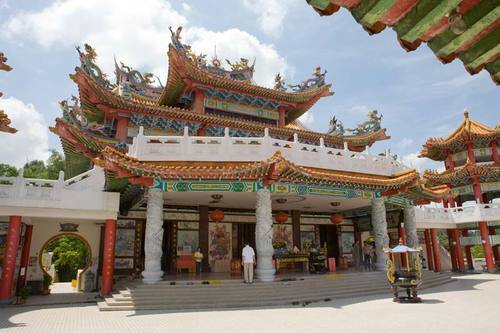 The three main cultures are Chinese, Malay and Indian. We mix with other races ever since we are little. For instance, we start off at school. There are lots of Chinese, Indian, Malay and lots of other races going to the same school as us. Some of us make friends immediately while others, well, fight to show them who’s boss. But we all get along well enough in due time. I went to a Chinese school since I was a pre-schooler. And went on to finish my primary six public exam, which was UPSR with a Chinese school. I personally experienced the difference of the cultures in that school. Back then, a lot of my friends and family often asked me why I wanted to go to a Chinese school. And my answer would always be, “I love being around them.” The teachers, the parents, the students, I was treated like a friend and a normal person there, despite what lots of people said about a Malay going to a Chinese school, which was being treated differently or getting into a lot of trouble and some other stuff I would not like to mention. Honestly, it felt like home. We may be a bit racist at times but we still have the same love for each other. At least, we don’t go overboard with it! Sometimes it’s just for fun between friends. I don’t know if girls do the same thing but I know guys do. And sometimes it’s for calling someone. Like when we go to a Mamak stall, we call the waiter “Ane!” or “mamak!” or “machaa!”. Admit it, all of us do it right? Apart from that, being in a country with lots of different races are quite fun! For example, we can go to a Chinese restaurant and eat Chinese food. Or go to a Malay restaurant to eat Malay food or even to an Indian restaurant to eat… Well, Indian food! Duhh.. It’s all here in Malaysia! For me, the food in Malaysia is one of a kind. And some foods here are even a combination between Malay, Chinese, and Indian food. The best part of being in a multi-cultural country like Malaysia is the sports. We can play Basketball which is the favorite among the Chinese, Football and Sepak Takraw which is famous among Malay, and cricket, I think, is famous among Indians. Though, forgive me if I’m wrong about those. And it’s a wonderful sight when I see lots of people from other races play together and having fun. And after the match is finished, we go out to the Mamak stall and drink one of Malaysia’s most favorite drink, the Teh Tarik! We're Malaysians and we love it! Look at our national flag, The Stripes of Glory better yet known as The Jalur Gemilang. A piece of cloth made out of blue canton on the top left corner, a yellow crescent paired with 14 pointed stars and 14 stripes of red and white on the fly. Very colorful isn’t it? Well excuse me, it is not just a piece of cloth with colors and shapes, it is an icon. A national icon. An icon that has a history behind it to be lived and told to each generation, as Malaysia grows older by year. An icon that represent unity, loyalty and diversity. Malaysian itself is as colorful as its flag. We have more races and culture than any other country, ranging from the Malays to the Indian and the Chinese to the natives like The Ibans. We used to fight and hate over one another’s differences. Over the years, after going through blood, sweat and tears, we realized that we needed each other in order to survive. Therefore, we stopped the hating and we start the loving. We live in harmony after all. You see people having multi racial friends. They chitchat, eat and work together. No matter if, you are Malay having an Indian friend or a Chinese working with another Indian, there are no boundaries between them that would stopped them from doing anything possible. Nowadays, families in Malaysia are also multi racial. You could have a Malay dad and a Chinese mum or an Indian dad with a Chinese background and that makes you a mixture of races. Like myself, I have a Pilipino dad and a Malaysian mum and I am happy with have I become. Being mixed myself, I get to learn more about the other culture than anyone else ever can; their history, their background and how life is. All this shows hove happy Malaysians are with one another, putting aside different racial background and culture and just live life as it is, in harmony. Now, you tell me, where can you get a real Chinese or maybe even Indian food (by real I meant, not those who are microwave heated or cooked by a French chef) without ever spending thousands of money just leave the country? Try staying in Malaysia for a day. You can have any food Malaysia has to offer. You can get real original food done by our various ethnics group with its original recipes passed down by generations just a few steps down the road away from home. In Malaysia, you can find almost any kind of food you desire. How is that even possible? Well thanks to our country, rich with people from different ethnics group and culture, we are able to satisfy our taste buds to whatever we crave for. We can have a Malay breakfast, Nasi lemak; rice cooked to perfection in rich coconut milk served with spicy chili paste, friend anchovies and half boiled egg all wrapped up in fresh green pandan leaf just to give it extra flavor and to seal in the freshness of the food. For lunch, you can have some Chinese food like fried char koay teow; flat noodle cooked in soy sauce and seafood and many veggies topped off with pickled chili. By night, why not go Mediterranean? You see, having so much ethnics group living in two strips of land we can have anything that we can possibly eat without ever spending huge sum of money leaving the country. To conclude all, as you can see, we are very colorful indeed, from our mixture of races and culture to our food. Citrawarna, internationally known as Colors of Malaysia, is an annual event taking place throughout the month of March in Malaysia, with nationwide cultural exhibitions that will surely educate while at the same time entertain not just tourists, but also Malaysians as a whole. Last year's event was fi lled with spectacular traditional dance performances such as Kuda Kepang dance from Johor, Ulek Mayang from Terengganu and Mak Yong from Kelantan, colorful parades, food fi estas and an array of arts and crafts exhibitions. Initially started in 1999 to both introduce and display the rich cultural heritages of the country, its preparations and celebrations in 2010 have unfortunately been overshadowed by other events. This year's main Citrawarna event is apparently planned to kick off on March 20 in the state of Putrajaya, but confi rmation and valid information about the program is elusive. But don't fret, as different states have prepared their own traditional exhibitions for Colors of Malaysia, so do go and check, and you'll be surprised.In addition, there are a number of other things you won't want to miss in Malaysia this second week of March. With the 15th Le Tour de Langkawi 2010 having ended on March 7, the week's hype is fl oating toward the Malaysian Grand Prix and its accompanying promotional effort, the Malaysia GP Sale 2010.The Malaysia GP Sale 2010 is 37 days of sales and promotions held in the lead up to, during and after the Malaysian F1 Grand Prix on April 2 to 4. The sale started on March 6 and will end with a blast on April 11. Malaysia Tourism will also hold KL Sunday 1 Malaysia Family Fair on Jl. Ampang on selected weeks to bring more exciting activities and sales of eclectic "one-of-a-kind" products, ranging from arts and crafts, fashion and accessories to food and home furnishing. Over 30 vendors will be offering merchandise to browse through on March 14, 21, 28 April 4 and 11. When I saw the title ‘Colours of Malaysia’, many things appeared in my mind such as the cultural of the multi-racial in Malaysia, the picturesque view in Malaysia, the delicious food of Malaysia and so on. Eventually when I started to write, it is actually quite difficult to elaborate my points. First of all, there are many beautiful views in Malaysia. 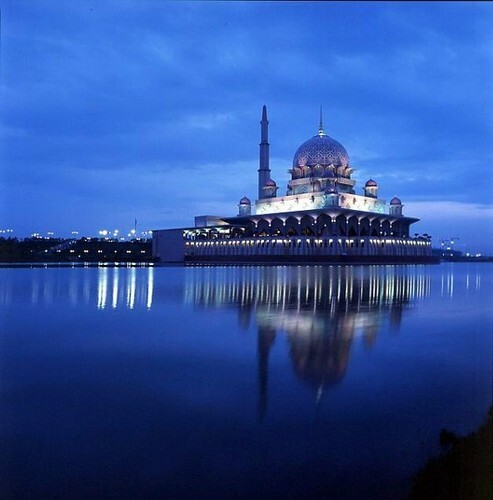 These picturesque views attracted the tourists from other countries to visit Malaysia. The examples for the places which have the beautiful views are islands, cool highlands or the cities. For example, the Redang Island. Redang Island is a very beautiful island. Many visitors or tourists love the sandy beach of Redang Island. The underwater lives are very colourful and beautiful. There are corals, various types of fishes and so on. Cool highlands normally have a very beautiful view. It is because highlands are high, so we can see the views or night view of the foot of the mountain or hills. Normally vegetables grow well at cool places. For instance, Cameron Highland has many vegetables farms, strawberries and tea plantation. The weather suits the plantations very well. These plantations cause the picturesque view at the Cameron Highland. Other examples of highlands are Fraser Hill, Bukit Tinggi and so on. There are many races in Malaysia such as Malays, Chinese, Indian, Iban, Kadazan and sooooo on. In Malaysia, there are many different types of people, different culture and also different races. Different types of lights display or lanterns will display at anywhere in Malaysia to decorate the streets and some tourist attraction places in Malaysia. Usually, the Malays will hang some ketupat lights or something with green colour and Chinese will hang some red lanterns or something which is in red colour. The displays will changed according to the festivals like Deepavali, Hari Raya Aidilfitri, Chinese New Year, Christmas and so on. The colourful lights and lanterns are to let the people in Malaysia to feel the atmosphere of the festivals. Malays are popular with many things during Hari Raya Aidilfitri such as ketupat with satay, rendang, lontong and so on. Chinese are popular with tangerines and ‘Ang Pau’ during Chinese New Year. The tangerines are stand for the wealth or a.k.a. the gold. The Indians are normally popular with tossai and muruku. 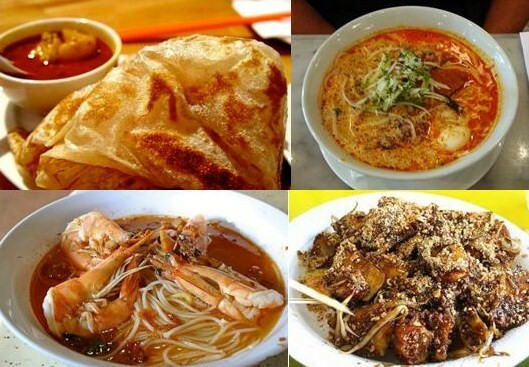 There are many different types of food in Malaysia too. There are many types of colourful food such as the “nasi kunyit” which is yellow in colour, “cendol” which is basically green in colour, “ais kacang” or a.k.a. “ABC” which is multi-colour, durian which is yellow in colour and so on. 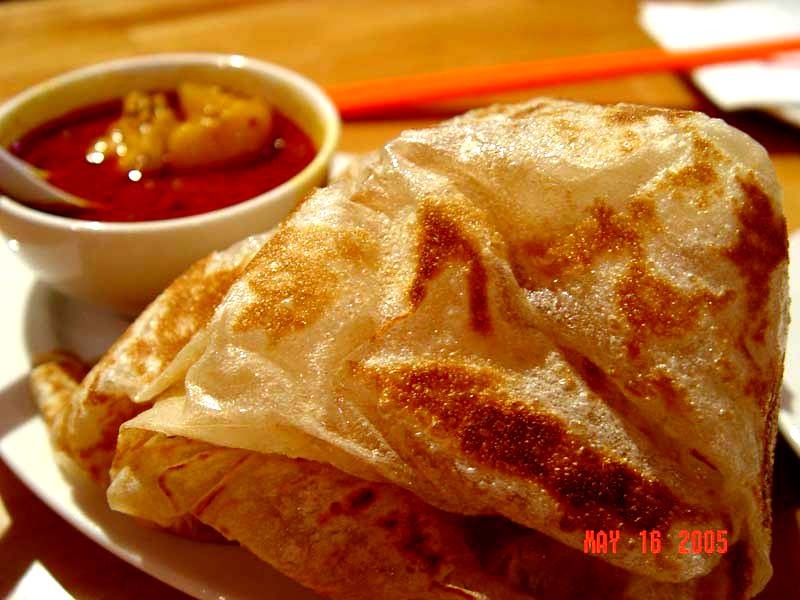 Other traditional food of diverse ethnic group, like “roti canai”, “nasi lemak”, “nasi kandar”, “Asam Laksa”, “Rojak”, “kuih Nyona”, “ketupat”, “tossai”, “rendang”, “chapatti”, “nasi beriani”, “Bak Kut Teh”, “Chee Cheong Fun”, “Yong Tau Foo”, “Penang prawn mee”, “Tau foo fah”, “kuih lapis”, “satay” and so on, are quite famous among the tourists. Malaysia is a well-known country for their food. Many tourists choose Malaysia as their travelling spot just because of the delicious food. These colours of Malaysia made the Tourism Malaysia launched a campaign called "Truly Asia". It is to show the world that Malaysia is a country which combines all the colours, flavours, sounds and sights of Asia. Malaysia is the only country in Asia with 3 major races Malay, Chinese, Indian and various diverse ethnic groups in large number. Citizens celebrate the festivals and share their respective cultures and traditions with each other no matter what religion are they. These attractive cultures are some of the reasons for them to visit Malaysia. Malaysia where is a bubbling, bustling melting pot of races and religions that Malays, Indians, Chinese and many other ethnic groups live together in peace and harmony. Multiculturalism didn’t only made Malaysia a gastronomically paradise, it has also made Malaysia home to hundreds of colourful festivals. No wonder we, Malaysians love celebrating and socialising. Malaysians are very warm and friendly. I think that Malaysians are the one who make the country colourful and these people are so called colour of Malaysia. Those God’s works which colouring and beautified our country are unable to finish here. I would like to brief about traditional clothes of different races in Malaysia because I think it was the colours where can find on “Colour of Malaysia”. Before the 20th century, Malay women wore Kemban, just sarongs tied above the chest in public. As Islam became more widely embraced, they started wearing the more modest yet elegant – ‘Baju Kurung’. The ‘Baju Kurung’ is a knee-length loose-fitting blouse that is usually worn over a long skirt with pleats at the side. Typically, these traditional outfits are completed with a ‘Tudung’ (headscarf).The traditional attire for Malay men is ‘Baju Melayu’. The ‘Baju Melayu’ is a loose tunic worn over trousers. It is usually complemented with a ‘Sampin’ - a short sarong wrapped around the hips. These traditional outfits carry through with a ‘Songkok’ (Skull cap). The saree is the world-renowned traditional Indian garment. A length of cloth usually 5-6 yards in width, the saree is worn with a petticoat of similar shade and a matching or contrasting ‘choli’ or blouse. Typically, it is wrapped around the body such that the ‘pallau’ (its extensively embroidered or printed end) is draped over the left shoulder. The petticoat is worn just above or below the bellybutton and functions as a support garment to hold the saree. Popular with northern Indian ladies is Salwar kameez or Punjabi suit; a long tunic worn over trousers with a matching shawl. The Kurta is the traditional attire for men on formal occasions. It is a long knee-length shirt that is typically made from cotton or linen cloth. Chinese immigrants who married Malay partners wore the elegant ‘Kebaya’ that can be described as traditional haute couture. Hand-made with great skill using sheer material, its intricate embroidery is equivalent to the best Venetian lacework. The piece de resistance is a delicate needlework technique called Tebuk Lubang (literally to punch holes). This involves sewing the outlines of a floral motif on the fabric and cutting away the insides. When done correctly, the end result is fine lace-like embroidery on the collar, lapels, cuffs, hem and the two triangular front panels, which drape over the hips, known as the Lapik. In Malaysia we have different culture, religious, festival, nature… and this all integrate the colors in Malaysia. But usually we can’t see it. I have a Japanese friend, she told me that I’m bliss to born in Malaysia, and be a Malaysian. Because child in Malaysia, we can learn different language, different culture, we have a well living environment there are least natural disaster. But in other country, some of the children can only know their own culture and language, and they maybe quit school because of lost school. We have the world larges rainforest in our country. We have orang Utan. We have the Iban culture & long house in Sabah Sarawak. We have the expensive oil petrol, I know it’s just a little but we still have. We have casino, although it’s no big but it’s famous in Asia. We have the world larges and smelliness flower in our country, that’s “Raffles”. We have all year long sunshine, then we can wear bikini at the beach for all year long. We don’t need to wear like a dumpling during winter day. We have a lot of things that people jealous we have. We have no earthquake in our country. We have no Irene. We have no terrorist attack in LRT or KTM. We don’t have the thing we won’t need. So, what else the Malaysian wants? Most of the Malaysian always said that we wanna immigrate to other countries; we don’t want to stay at Malaysia. Then do you know the people of other country immigrate to our country? Normally, people will jealous what other people have, but they never realize what they have. I’m proud to be a Malaysian, because I have the world larges rainforest, I no need to worry about the natural disaster. Every time when I watch the news of natural disaster or terrorist attack in other country. I’m actually glad and thanks God that I’m in Malaysia. Cuti-cuti in Malaysia, you can find your own colors of Malaysia. I’m amaze at the fact that I am not the only one who thought about ethnicity when it comes to colours of Malaysia and not to mention, food as well! It seems that great minds do think alike. I do strongly believe that how our country is so diverse in culture which somehow represent the various colours of Malaysia. All of us have already experienced it and many of us have been brought up with it or living with it. It’s not just our history that brought us together but how we adapt towards one another that made our country something a little different from others. Many foreigners claim that we, the people of Malaysia to be very friendly and kind. The reason why this is true is because of how we are very accepting towards each other, especially towards those who are different from us. Culturally speaking. One of the greatest factor that the government has done is that all of us are taught to work with one another. And out of that, there are a ton of things which all of us have learned. It is not just moral values that we learn but also about different cultures and lifestyle. And as we all know very well what we Malaysians enjoy learning about, food. It is due to the fusion of culture that allows us to have so many deliciously mouth watering dishes being served, not to mention cheap as well. This then leads to how Malaysia became popular as well. Not just the place of sightseeing or the heat but also the food and the people! Another thing that us Malaysians really love are holidays and festivals! Festivals such as Hari Raya, Chinese New Year, Christmas, Deepavali sure are exciting. I just enjoy spending the night seeing things happening around Kuala Lumpur during the time of festivals. It is just so exciting and I am very very sure that many of us enjoy it as well! The best part is the fireworks but lets not get in to that (Despite the fact how beautiful it is). Like I said earlier, many of us are raised with Malaysian culture which lead us to learning multiple languages which not only just boosts our educational level but also in terms of how we communicate with one another. This not only helps us within Malaysia only but all around the world. Malaysia is definitely amazing. How all of us could so easily accept each other without thinking about a person’s skin tone, figure, what language they speak or such. After all, we are all humans. Nothing more, nothing less. This is what really makes Malaysia, Malaysia. What more can we ask, except the fact that many of us want cold weather but that is not the point. We truly are blessed with having a opportunity to live in a country like this which I believe have also impacted many parts of the world in how we are living in such peace and harmony as the colours of Malaysia. This to me means alot more than you imagine.We all know the 3 significant different cultures in malaysia.Chinese,Indian and Malay.i unfortunately dont fit any of these races and yes at times i do have to say i feel like im missing out.I am still very much a malaysian at heart although i dont look like a typical malaysian.And as i grew up,i learnt the differences between all the colourfull cultures.What always interest me was how the ideology of a certain race would be different.Each culture saw things differently,in a different angle and at times this reason alone can be the cause of disputes. But if you take a step back,the amount of heritage and history we have behind all the cultural territories is amazing.You can go to Kuala Lumpur and sometimes if you take a right turn you’ll come to culture territory,and you make a left turn its a whole other culture. Think about it,its just amazing. Just the other day,i had gone to Kampung baru,a small town in kl.And suddenly,i just felt like i was somewhere else.It was a malay territory. Filled with traditional malay stalls with Big old houses.We travelled to town for some very famous nasi lemak.Driving through the small roads they had,you would see men in sarung’s, and i have to say even the houses were built with a distinctive malay taste.It was without a doubt a nice site,going back in history,that area was the infamous malay territory during the May 16 racial dispute.After hours of getting lost in that very maze like town,we finally found it.Our delicious nasi lemak but when i got there the amount of different races was amazing.Even in small territorial towns you can find malaysians gathered together for a great feast.Such a beautiful site.There is no denying that although malaysia is famously seen as the country with different cultures,which sometimes may bring up racial disputes.But its nice to see how in everyday life,you see these small little things that just makes you feel so much at home in malaysia.I may not look malaysian,but from the bottom of my heart i love this country.I love the diverse food choices,the different colourfull celebrations we have and how the roads and malls will be filled with the festive decorations.I love how each culture has their own language and their own religion.And how whenever malaysia is involved in any sport,everyones comes together and just supports malaysia.I love how we get defensive when a foreigner makes an indecent comment on malaysia.There are more colours to malaysia than what you see or the average comparison of “black,yellow and brown”.If you take a closer look,you see the colours of white,the symbol of peace and honesty,the colour red-the symbol of bravery .You see blue-the symbol of loyalty and perseverance.You see the colours of all 14 states in malaysia behind it a historical heritage,a stream of old tales by our grandparents.Malaysia is full of beautiful colours and although,we dont always see this.Its always there if you take a closer look. Often times , majority of us would be so caught up with the hustle and bustle of our lives , too much ups and down to deal with for us to actually step back and start appreciating our very unique gift bestowed upon all Malaysians. The gift of living in a multicultural country. We don’t live in an entirely perfect country , then again who really does? Politically it seems like a pretty dark hour for Malaysia however among all these unpleasantries , I still find so much beauty that I strongly believe I’d never find anywhere else but Malaysia. Nearly every single one of my friends have plans intending to leave the country either due to the fact of how uncertain Malaysia’s level of security seems or that Malaysia just doesn’t offer enough for them academically and for when they venture out into the working world. I however can not picture myself leaving this beautiful country. I could never even picturing leaving this very street I call neighbourhood solely cause its been home to be for as long as I can remember. Ive grown so comfortable with it and I could love every little small detail about our country. From our irreplaceable tasting food to our diverse culture. Both traditional and the one built up by the youth of our country. With 3 main ethnic groups living in Malaysia and countless more uncounted living in Malaysia its not always easy for everyone to get along. However it is not a rare sight to see everyone from different races come together , be it for an important purpose or to just sit down at a local mamak stall and talk about our day or our interests. Though at times it is hard to get along seeing as how we all come from different cultural background or beliefs , its always interesting to learn of another’s culture. And its always heartwarming to see people from different races bonding closely despite their differences. It allows us to develop our very own culture together. A Malaysian culture. I believe living in Malaysia is really like no other. Aside from our individual ethnic groups cultural belief and etiquette , we have somehow developed a Malaysian culture , or experience that you would not find anywhere else. For example , we Malaysians have came up with the famous “lah” to end our sentences with. We also have uniquely Malaysian food aside from already being spoilt for choice due to our multi cultural society. We also are blessed to be able to enjoy another race’s festive celebration so easily. Its always an interesting experience to learn of another’s cultural holiday aside from the one’s we celebrate within our own race. In Malaysia its not a rare sight to be invited to various open houses despite of your race. And they usually are very welcoming to other races about their cultural festivities. All in all , I believe that we are indeed truly blessed to have one another , and to be able to live together in such a uniquely multicultural community. It is like no other. Its truly Malaysian. We are the colors of Malaysia. We are what describes Malaysia. And there would never be a better image painted by the different ethnic groups living within Malaysia, the Malaysians . Malaysian is a country with fascinating people and an enthralling range of attraction like getting to taste the different type of cuisines, having an opportunity to learn about the Malaysian people and the diverse cultures. They are three major cultures in Malaysia, the Malays, Chinese and the Indians, along with the ethnic tradition of the KadazanDusun, Iban and many more in East Malaysia make up the delightful multicultural fabric of Malaysia. Malaysian celebrate a variety of colourful festivals. The most grand is the Muslim festival Hari Raya Aidilfitri. This festival marks the the beginning of Syawal, a new month in the Muslim calender. 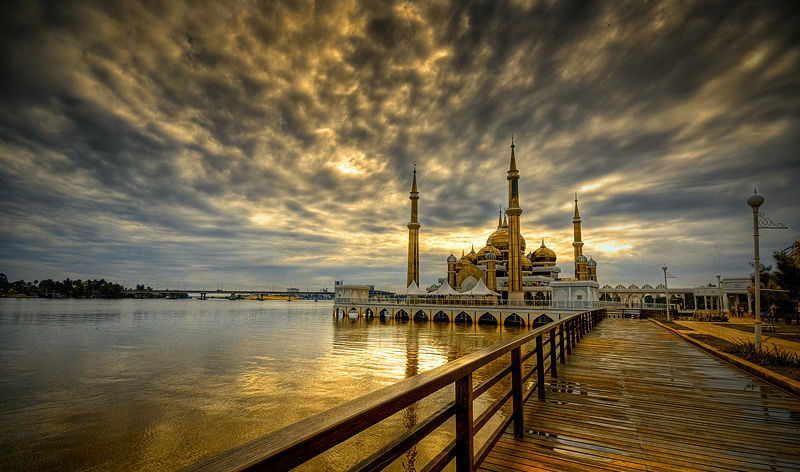 Prior to the celebration, Muslims observe a month of fasting beginning from daybreak until sunset. The Chinese community in Malaysia celebrate various festivals such as the Lunar New Year, Mid-Autumn Festival, And Chap Goh Meh. 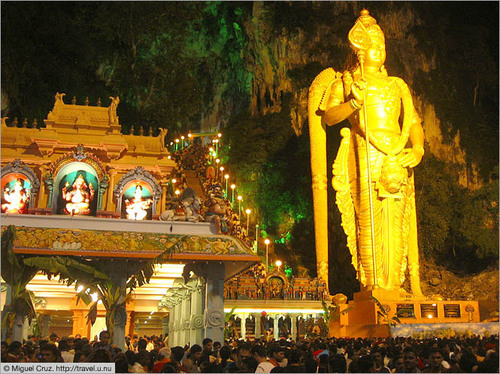 Hindu celebrations include Deepavali, Thaipusam, and Ponggal. The people of Sabah and Sarawak celebrate harvest festivals known as Tadau Ka'amatan in Sabah and Hari Gawai in Sarawak. Christian all over the country celebrate Christmas. During these festivals, they serves their food specialties. For example on Chinese New Year , they would serve thick noodles, full steamed white cod, steamed or grilled chicken, vegetables before chicken, pea shoots, dumpling, and cashew cookies. On the other hand, for the Indians, in every home that you visit you are bound to be served with a tempting spread of sweets. Some of the popular sweets are halwa, burfi and laddu. Hindus love eating spicy food and for non-vegetarians they indulge in favorites like chicken tandoori, prawn sambal and fish head curry. In homes of Hindus who are vegetarians popular dishes like thosais, idlis and naans are prepared. And for the Malays they would have ketupat, satay and rendang for Hari Raya Aidilfitri. These are food that will be serve during the festive day. Malaysia is a multi-ethnic, multicultural and multilingual society. Amazingly they live peacefully together and respect each other. As a Malaysian, I am really proud to be living here. When it came to colors, it reminds me of many other things in Malaysia. Things such as races, foods, culture and many more. Those are the things that pop up in my mind when I first think of colors in Malaysia. Well as we know, Malaysia is a place of wonder, colors all around the country even the street are full of colors. Malaysian too are colorful. Not to be disrespectful but there are Chinese, Malays, and Indian living in Malaysia. Firstly, Chinese with its skin colors, yellow. Their cultural are all different with red as a symbol for the Chinese. 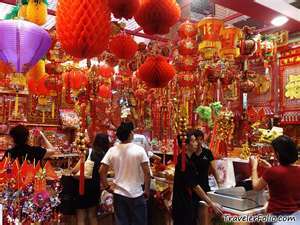 Chinese New Year are packed with red color and its red packets also known as angpao are always red. During Chinese New Year, the house of the Chinese are decorate with red color decoration. Whereas, Malays with brown colors skin and its symbol I think is green colors because of the Hari Raya. They gave people green packet, inside of the green packet consist of money. It’s almost same as angpao given by the Chinese during Chinese New Year. Their house are also decorated with green color decoration during Hari Raya. 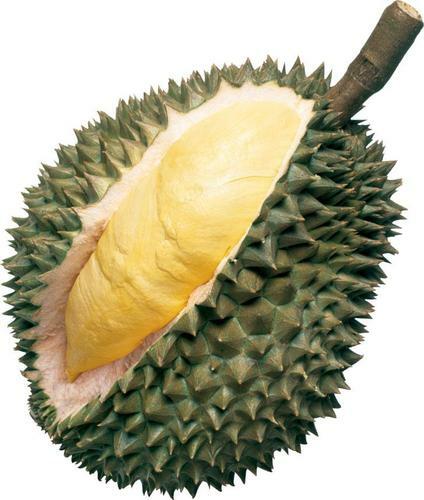 Malaysia’s food are also very interesting. 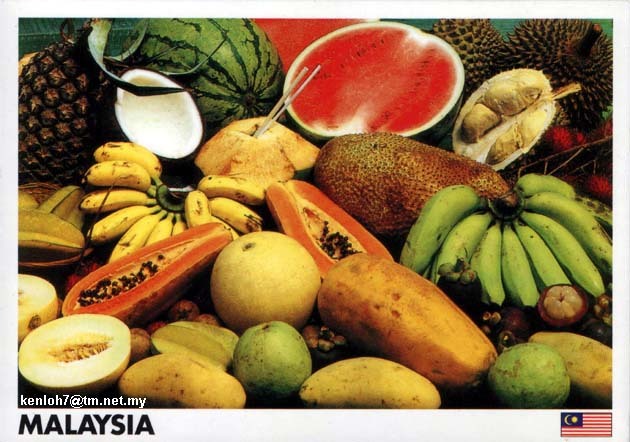 Malaysia have many foods that are colorful, Chinese with it’s significant color dish and Malays with their s.
One things as well Malaysia’s flag consists of four colors and each of the colors signify a different meaning. Each are moral value that are meaningful learning stuff. The white colors on the Malaysia flag represent peace and honesty. This is for the citizen of Malaysia. We need to have these value. Malaysian is honest but of course not all of them but most of them are. And these bring peace to Malaysia. Red colors represent hardiness, bravery, strength and velour . There is also blue colors that represent vigilance, truth, loyalty, perseverance and justice, The blue colors its field also symbolize the unity of the Malaysian people. There are yellow star and crescent on the flag of Malaysia, this symbolize the royal family. In Malaysia yellow color is the symbol of the royal family. I am proud to have been born in Malaysia because Malaysia are one of the country that has the most color on it. Unlike other country Malaysia have people like Malays and Chinese and even Indian. We are co-living in Malaysia and because of that we have many festivals going on in Malaysia. Festival such as Chinese New Year, Hari Raya and many more. We get to enjoys different colors of foods, different colors of festival , different colors of clothing depend on the races and most of all we have each others. In Malaysia people are not racist despite many races stay in Malaysia. We help each other when in need and we receive help from other people from another races that we don’t know. Situation like this help improve Malaysia to a beautiful and harmony place. Well from what I see is that we share with other races that are staying in Malaysia our festivals and they share theirs with us. I wanted to write about something different but then I realized it was about the colors of Malaysia, not just colors. So here we go again, the same topic that we all write about and hopefully it doesn’t bore whoever reading this. The few things that come in my mind when I see the words colors of Malaysia is the diversity of our races, different types of food, our Malaysian flag and logos, culture, travelling spots and what not. 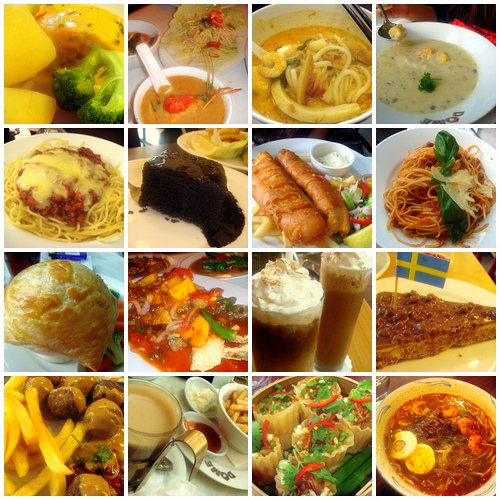 Now lets talk about the food in Malaysia. We are listed at number 18 on the list of countries with the best food. I know thats not something to brag about but I need not tell you how great (and unhealthy) Malaysian food tastes like. A unique thought comes to my mind when I think of the colors in Malaysia. The architecture and building we have here. Malaysia has one the most exotic and colorful buildings in the world. Architecture in Malaysia are a combination if many styles since from the beginning we are made up of different races and cultures. There are many beautiful churches, mosques and temples in this colorful country of ours. 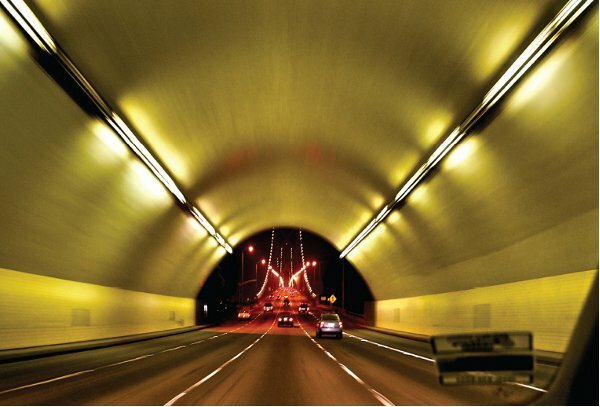 Smart Tunnel, longest multi-purpose tunnel in the world. Last but not least Malaysia is also colorful in the automotive industry. 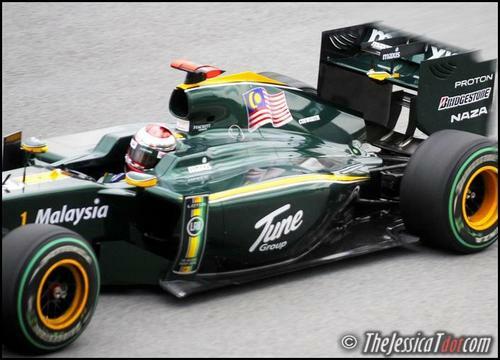 We are proud to have a national F1 team called the Lotus team. 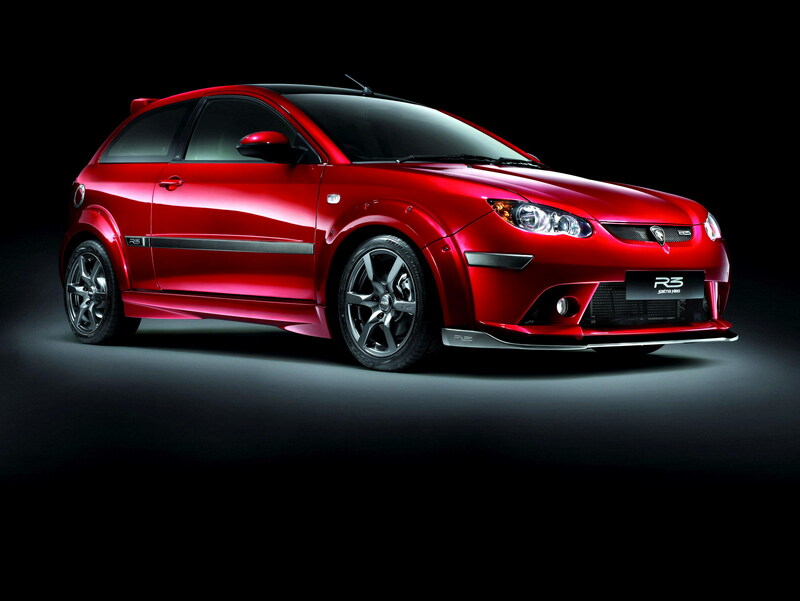 Last but not least is the Proton Satria Neo which is our first hatchback semi sports car developed by Proton. The word "color" has come to be identified with several meanings, thoughts and different angles of perspective. In most situations we need color to assist in our decision-making process, like when we wanna buy clothes, shoes, jewelry and on rare occasions even food; with that being said, colors additionaly help us define the world around us from minor details like the coloring on a stamp, the paint of a car and the interior art of a museum. It not only gives a slight zest to the world but it also represents the meaning it wishes to convey to the world. Malaysia is such a country where colors play a significant role in distinguishing what is what. A country that is home to a wide range of multi-cultural treasures, exhibits the vibrant spirit of the nation through its many colors. Everything from food to lifestyle and entertainment is unique in its own way and its aims in attracting eyes to come witness what they have to offer. When I first came to Malaysia my immediate interest was not so keen nor did it border on any anxiety, I looked around the surroundings trying to fish for something that I had not seen before. As i explored throughout bust of the cityscapes, the alarming sounds of the pedestrians and the general hustle and bustle of cars and traffic I came across this sleepy corn stand by the street where this man was grilling sweet corn and selling it to the active pedestrians. I was dazzled by the color of the corn, so vibrant and yet it had a distinct aroma, one i'd never forget both taste and sight. As time went by I came across other exploits that surrounded the country like the departmental shopping mall Sunway Pyramid located in Subang Jaya. The Massive building designed to reflect Ancient Egypt complete with a sphinx and a pyramid has attracted thousands due to its golden-lime exterior and silver floodlights. “Malaysia truly Asia”, is the tagline that Tourism Malaysia uses worldwide to sell Malaysia as a Tourism destination. The tagline sums up Malaysia as a country filled with diversity that best represents Asia. 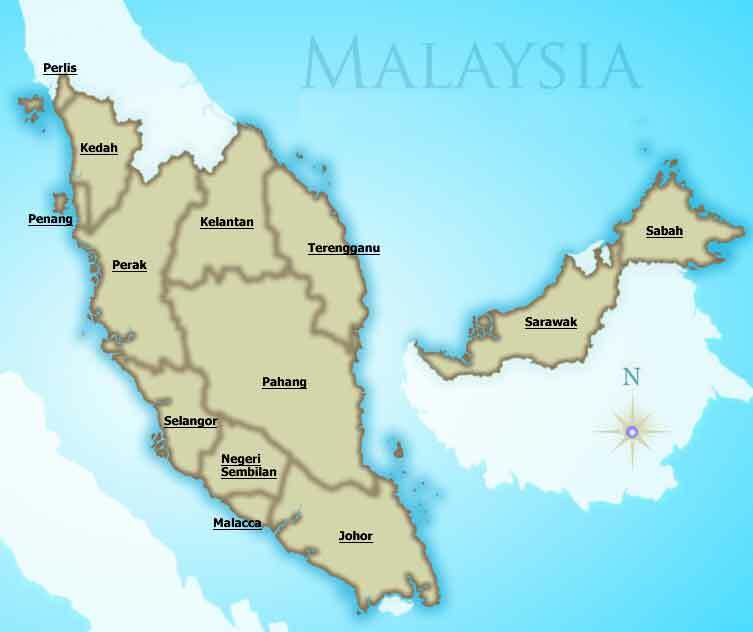 The birth of Malaysia as a nation initially witnessed the Malays, Chinese and Indians dominating the landscape of the country in terms of religion, language, food and culture. As Malaysia developed so did its landscape of among others people, culture and food developed accordingly. The influx of people to name a few from Japan, Korea, Indonesia, Vietnam, Myanmar, Bangladesh, Pakistan and The Middle East bringing along their respective cultures further added to the richness of colour that was existent in Malaysia. Today, the colours of Malaysia are not only confined to the three main ethnic races in terms of food, culture and religion, it is a hub of both traditional and modern lifestyle from all four corners of the world. 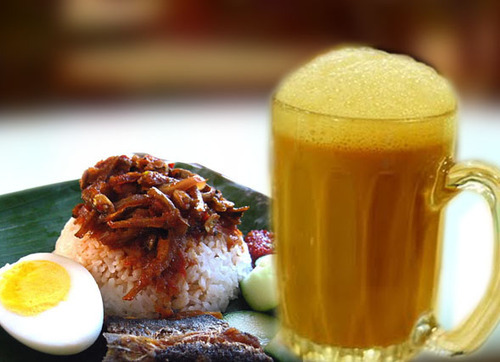 Malaysia today offers a wide variety of food and beverages that best signifies the various communities that calls Her as Home. Malay, Chinese and Indian cuisines are found throughout the length and breadth of the country whereas Western, Japanese, Korean, Middle Eastern, Nepalese, Vietnamese cuisines among others are ever present in major urban towns. Add the traditional servings of the Portuguese, Baba Nyonya and the various indigenous communities from the states of Sabah and Sarawak, it is a country best described as a paradise for food lovers. 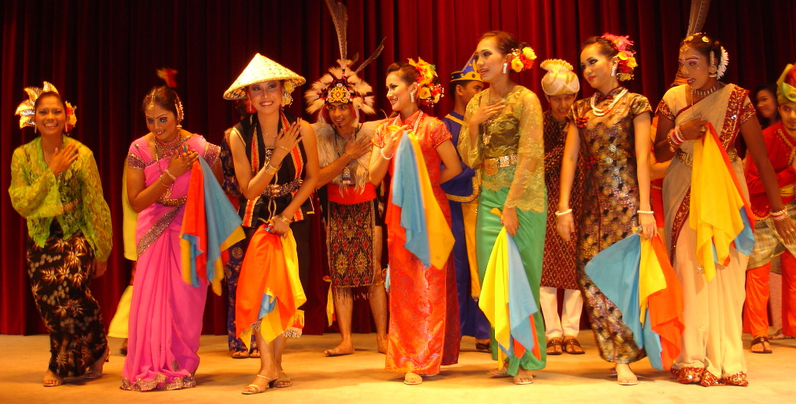 The Colours of Malaysia is also reflected by the languages and dialects that are spoken by its people. The official language Bahasa Malaysia is in turn spoken in various dialects depending on the State or Region that one is located. English is also widely spoken and it is the unofficial language of the business community. The Chinese steadfastly communicate in their respective dialects of their mother tongue such as Mandarin, Cantonese, Hokkien, Teo Chew, and Hakka. Tamil is the language of a majority of the Indian population while the rest of the community speaks languages such as Punjabi, Malyalam, Telugu and Singhalese. If one were to cross the seas onto the shores of Sabah and Sarawak, the language of their respective Native communities takes precedent over other languages. It is quite common to witness traditional weddings ceremonies of the respective communities in this land of diversity we call Malaysia. A “Bersanding” ceremony of the Malay community, Tea Drinking ceremony of the Chinese community, Temple Weddings of the Indian community and Church Weddings of the Christian based community together makes up the Colours of Malaysia. As a Malaysian, I have witnessed all those wedding ceremonies and I admit it is very much fun to watch and know how these ceremonies are unique in their own ways. The Colours of Malaysia are also reflected in the architecture of the Modern skyscrapers that are built with traditional Islamic and Malay features. Heritage Buildings reflecting the well- known traits or symbols of the other communities are also prominent throughout the country. 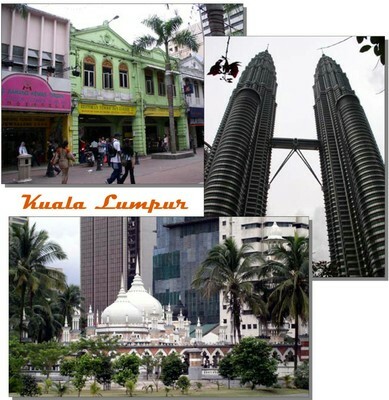 Malaysia is a land of many attractions. We have among others the best that both man and nature can offer. Modern buildings with modern amenities to untouched lushes of greenery, beautiful sandy beaches, wildlife that one can only marvel at and traditional village life that is an envy of many other countries. Colours of Malaysia,when we talk about colours of Malaysia I immediately think of the 14 beautiful states of Malaysia and the different type of foods that can be found here and of course being known for the most multi-racial country ever being filled with citizens from all kinds of races and different cultures.Malaysia has been known for it’s popular tourist spots around the country that will attract a lot of tourist from around the globe all year long.Some people will say the spots that are found in Malaysia are the colours of Malaysia but to me it’s about the multi-racial people living here and how everyone gets along in this beautiful country.Even though we don’t always get along with one another causing racial gang fights and all but hey,every friendship has it’s friction and ups and downs but we always get together and show our patriotic support to the country in times in need for example when Malaysia is playing a football game at bukit jalil at least 80 thousand Malaysian would make an effort and drive all the way there and show their full support our Harimau Muda team and it doesn’t matter win or lose we will always show our support to them.Standing in the crowd surrounded by people from every race would always put a smile to my face because it’s then I realise we are not Chinese,Malay or Indian but we are all Malaysians what race we are from we would always unite and support our country.Another example of unity in our race is during the events of “Bersih” when everyone united to show support to our country. The 3 main races in Malaysia are the Chinese,Malays and Indians but this are not the only races in Malaysia our country are filled with all types of races like Portugese,Baba nonyas,Eurasian,Ibans and many more.This doesn’t only help us get to know our own culture and also culture from other races but helps us develop our very own Malaysian culture.You can travel through Malaysia from Malaysian Kampungs to Indian street to China town and feel like you went through three nation and came back.This doesn’t only help us get to know other cultures but it lets us all learn different languages from different races,you can find Indians speaking hokkien in Klang,Chinese speaking fluent Bahasa Malaysia and also Malays speaking chinese.one of the biggest example of this is our Malaysian celebrity Baki Zainal,he is able to speak very fluent chinese and even acts in a lot of chinese Malaysian shows.This shows in this country you don’t have to be a Chinese to speak mandarin or a Indian to speak Tamil you can be a Malaysian and speak all 3 languages.In conclusion,I can tell you that I am extremely proud to be a Malaysian and getting used to all the different cultures there is to learn in our country,I can proudly say here that I wouldn’t mind dying for Malaysia. I have travel to most of the other country in the world , each country has different cultures , race and religion, well somehow wherever I go, Its really hard to find variety of everything, in Malaysia, everything is here! To the culture, religion, race, food, places and more . I was born in Malaysia, well I never been to most of the places in Malaysia but I know It has never disappoint anyone, this beautiful country has much to offer to locals and foreign . As we know Malaysia is a multi culture country and it provides us almost everything, whenever it’s the festive season, we have not just one but several festive events going on in one year! And the festivals gives us amazing colours and designed all over the event venue ,well we Malaysian have a lot of things to celebrate about as in the Hari Raya, Chinese New Year, Deepavali, Christmas , whenever there is a festival, everybody will unite as one Malaysia celebrating each festive without care of what race or culture, we also have the Sabahan and Sarawakian which come from East Malaysia, we here in the West also celebrate their native culture such as the Wesak day and Pesta Menuai (Harvest Party) and few more . Plus Malaysia has many types of food, we have Malay, Chinese ,Indian, Korean, Japanese , Italian, Western and MORE!!! Wherever you go in Malaysia you will always find a place to eat, we have the 24 hours restaurant, here in Malaysia we have no time limit, anyone can stay up anytime they want and the only place they can spend their time chilling is at the MAMAK stall. Best thing about this country is the flora and founa, we also have the largest single flower in the world called the Rafflesia ,and the rain forest are HUGE!! 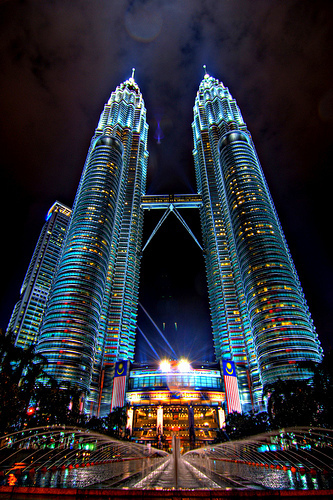 Not just that, we have one of the tallest building in the world which is the Petronas Twin Tower. It’s the famous tourism place in Kuala Lumpur.Well I love my country so much to much to say but so little time and there is to many exciting things about Malaysia . The first thing that comes to mind when i think about colours would be The Colours of Malaysia. Malaysia is a country that is full of many different races and diversity and i am proud to be a Malaysian.In this update i would be talking about the National flag,that is the Jalur Gemilang. As some of you might or might not know,the national flag(Jalur Gemilang) has many different colours on it and each and every colour symbolizes a unique attribute of our national flag. 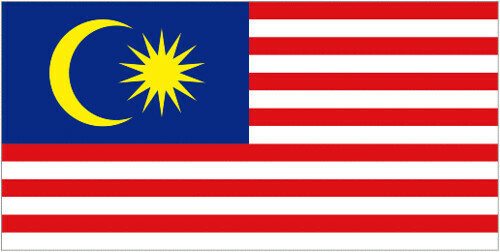 The flag of Malaysia, also known as the Jalur Gemilang (Malay for "Stripes of Glory"), comprises a field of 14 alternating red and white stripes along the fly and a blue canton bearing a crescent and a 14-point star known as the Bintang Persekutuan (Federal Star). The 14 stripes, of equal width, represent the equal status in the federation of the 13 member states and the federal government, while the 14 points of the star represent the unity between these entities. The crescent represents Islam, the country's official religion; the blue canton symbolizes the unity of the Malaysian people; the yellow of the star and crescent is the royal colour of the Malay rulers. 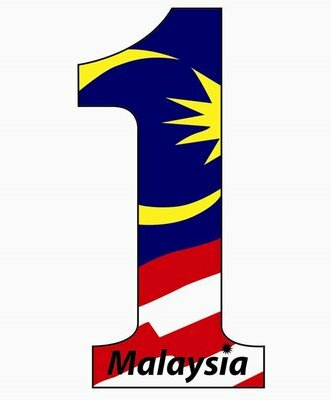 Jalur Gemilang also shares with us in short through the lyrics that Malaysia is built on unity,peace and cultures that unite as one.For that i am proud to be a Malaysian.Once a Malaysian always one,no questions asked! Colors of Malaysia? Hmmm…for me, I think it is *COLORFUL*!! Why?? First, let’s talk about the nationality of Malaysia. In Malaysia, contain of Malay, Chinese, Indian and more other ethnic people. Many different cultures make everything become special and unique. Food, festival, folk custom, people actions all belong to Malaysia, the special country. If talk about the food, that is the most proud of thing for me as I’m a Malaysian. Penang laksa, curry, nyonya laksa, baba ice kacang, the tarik, roti canai, fried keow tew, satay, nasi lemak, bak ku teh, Ham cha, and more, that's all belongs Malaysia. You can found the most original, primitive food in Malaysia. I was really proud of it. Even I going to over sea for travel or long-stay, what I most missing is the food in Malaysia. My friends who come from other country always ask me took them to try the famous local food at here, blessed to them, I can dine it myself too :D During the semester break, I will always planning to travel Malaysia inland for searching the famous local food. When u finally found that, u will feel really accomplishment with that. And something I find out is, those famous local foods are always hiding in a small inconspicuous shop and not really publicity, but still have a lot people line up and wait for it. Festival, different ethnic festival, we got different public holidays :D Before when I was child, Hari Raya or Deepavali for me is always only a holidays and it is nothing special as I am Chinese. But now, I found that actually it can also be very fun and valuable if you are really take part it. Example this year Hari Raya, I visit my friend open house and went to his house visit. The way of how other ethnic people celebrate their festival actually is huge different with us. After you invent what the meaning of doing these kind of thing you will find that it is really interesting. After I went to university, slowly my friend is not only confines in Chinese. There are still have Malay, Indian, and other foreign people. They also make my life become more amazing and brilliant. Cherish for it. Badminton is Malaysia strengths sports. That's why I like to watch international match while Malaysia team has take part in. But now, I also focus on Malaysia football as they are slowly growing since long time ago. While they win the southeast asia cup, I know tiger was grew up, and they made me first time bought Malaysia jersey and gather with friends cheer for Malaysia match. Many kind of different sports slowly improve, it make Malaysia become more shining star in the national. Pound to be Malaysian, this colorful land, this valuable land, and this warmed land. Expect of political, I love this land.